The Heroweight Championships and a 4-Way Ladders Match! With the upcoming KAPOW Pro wrestling event in Chamberlayne Leisure Centre in Southampton, we’re excited to announce the following matches. 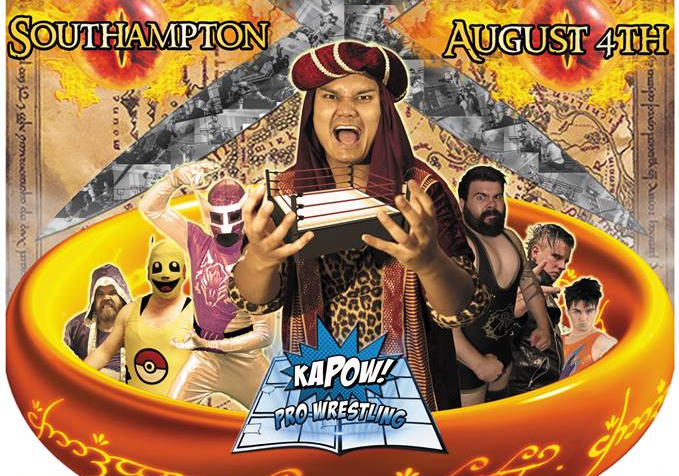 Sports Entertainment Action returns to Littlehampton as The KAPOW Wrestling originals take on a new generation of superstars for gold and glory! 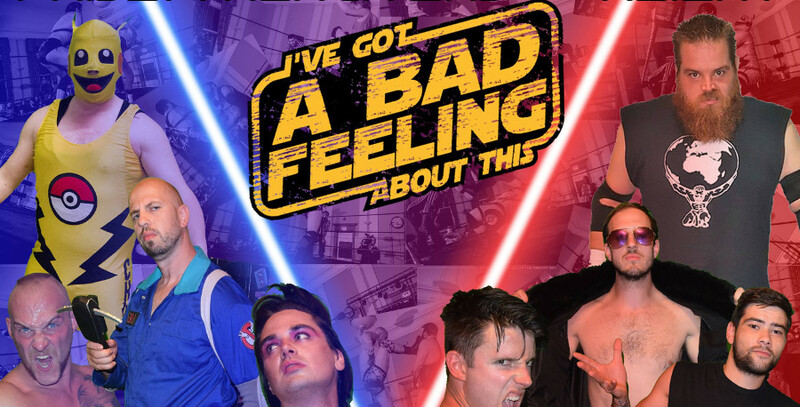 Four of KAPOW Wrestling’s brightest stars will be reaching for future glory in a death-defying Ladder Match! 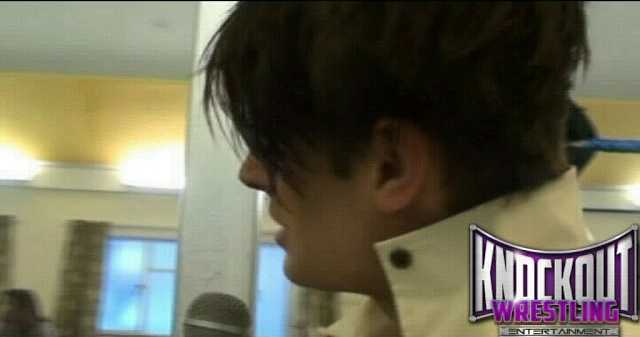 LEARN TO BE A PRO WRESTLER WITH THE KAIENTAI DOJO GRADUATE – KELLY SIXX! With just over a week to go until KAPOW Pro Wrestling comes to Littlehampton, we take a look at which wrestlers you can see on Sunday 23rd September. Now is the perfect time to learn how to be a wrestler. 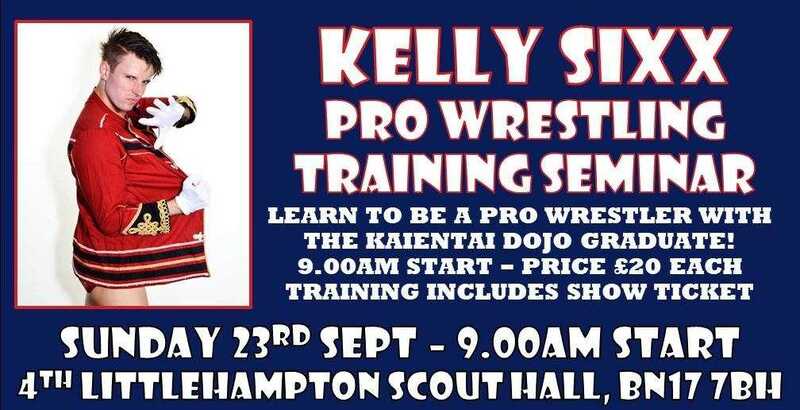 After completing his training in Japan, expert wrestler Kelly Six will share all he knows with his students. At the height of summer, the flames of war rage their hardest. At The Hobbit Pub in Southampton the warriors of KAPOW Pro Wrestling battled for gold and glory! Check out all the action you might’ve missed from this year’s epic event. KAPOW champ Kelly Sixx jumped by Hitman 4 Hire and belt stolen!